Below is the information all volunteers need for Money Month 2.0 ! 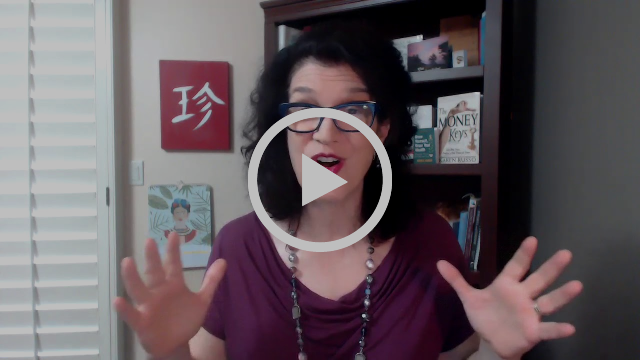 Karen Russo introduces Money Month 2.0 and what volunteers need to know! Link to Youtube. In September 2018, women-owned businesses, entrepreneurial communities and stakeholders across the state are providing training, resources, connection, and discussions all about MONEY. We call this Money Month 2.0. http://www.moneymonthaz.com/. We took feedback from the 2017 AZ Women Business Owner survey and responses from more than 40 events held last year to create Money Month 2.0. If new, you’ll want to connect to Empowered PhXX — look at the 2017 Survey Results. This year, Kickoff Event on Wed Sept 5th in Paul Singh and his partner Dana of Results Junkies at 6pm National Bank of Arizona. This event is almost SOLD OUT register now if you haven’t yet. Then there will be four weeks of structured events in five regions (Peoria, Mesa, Chandler, Central Phoenix, and North Scottsdale) across the Valley.We strategically brought together the top money experts from all over Arizona to create interactive content that our participants can tailor to their various needs. that will focus on one of the four key areas of money: talking about and making money, managing money, finding money inside your business, and external money, finding financing for future. Money Month Welcome by Regional Coordinator – 10 Mins. Facilitated Discussion / Best Practice/ Application at Tables with EL, – 40- 50 Mins. Individual Action: participants walk away with concepts, skills, new practices and a comprehensive action plan to help build your business on a solid financial foundation. 15 mins. Committee — volunteer group, of leaders and industry experts. Table Leaders — committed to the mission, some financial/ coaching expertise, facilitate discussion at Table of 5-7 participants, take notes during events using LAPTOPS, and share highlights . Amplifier--organizations and individuals that share and promote Money Month online. Promote Money Month to Your Network – all of the marketing tools have been posted on the website to make it quick and easy. or Thursday August 30th 10 AM – Both at Hera Hub. THANK YOU! FOR YOUR TIME AND COMMITMENT TO BUILDING OUR COMMUNITY THROUGH THE POWER OF WOMEN BUSINESS OWNERS.